For the better part of twenty years, Raymond Ess, half-dreamer, half-madman, used his personal charisma to drive his company, Resolute Aviation, to greater and greater heights. But then Ess took one risk too many, bullying his Board into staking the company's present and future fortune on a deal that was nixed at the last minute. Resolute Aviation plunged into loss, and Ess plunged into despair. Until now: back from a six month sabbatical to India, Ess believes that he has discovered the answer to Resolute Aviation's troubles—an anti-gravity machine, invented by a reclusive Indian scientist called Tarik Kundra, living by himself somewhere in the wilds of Western India. Humouring him as they would a crank, the Board allows him to go back to India to procure the machine, while secretly making plans to wind up the company in his absence. And so begins the unlikeliest of quests: Raymond Ess, accompanied by his personal assistant, Steve Strauss, the novel's young and world-weary narrator, travels into the badlands of Maharashtra to find Tarik Kundra, and persuade him to sell his magic machine. They are joined by their local guide, Asha, and Harry Altman, an American with an impenetrable smile, inscrutable motives, and "a face like an optical illusion" (p. 155), who attaches himself to the party uninvited. As anyone who has driven out of Mumbai towards and beyond the suburbs of Thane will testify, this is a startlingly accurate rendition, both physically and emotionally (I myself made this journey a few months ago). This is just as well, because unlike Harrison or McKillip, Trevelyan is not engaging in world-building, but world-description. He has the added burden of accuracy. The perils of this enterprise are latent in a line that he puts into the mouth of Harry Altman, early in the novel: "Bombs, temples, bombed temples. That's the danger. India'll pretty much let you see whatever you're expecting to see" (p. 26). This is a line strangely reminiscent of E.M. Forster's "India—a hundred Indias—whispered outside beneath the indifferent moon" (A Passage to India, p. 17), topped off with a dash of V.S. Naipaul's condescension. Romanticising an (imagined) vast and unfathomable India on the one hand, and reducing it to its squalor (bombed temples or faeces strewing the roads, as the case may be) are two sides of the same essentialist coin. The difference, however, is that Harry Altman is not the authorial voice; in fact, he's a cross between Forster's sympathetic adventurer-hero in A Passage to India, and the Western-nostalgic V.S. Naipaul of An Area of Darkness. Altman embodies the clichés that commonly feature in writing about India, clichés that Trevelyan himself skillfully avoids. On the rare occasion that he slips in authorial judgment through Steven Strauss's narrative voice, it is both sharp and perceptive. Describing the "Mumbai hipsters" for instance, one of Strauss's local interlocutors talks of how "their imitation [of their American counterparts] was so perfect it wasn't an imitation anymore," (p. 80)—but the faux-seriousness of that observation is immediately undermined when both Strauss and his interlocutor laugh wryly at themselves. Contrast this with Naipaul's deadly serious "mixture of mimicry and fantasy" (A Wounded Civilisation, p. 138) to describe Indian attempts at modernization. This combination of sharp perception, self-awareness, and scrupulous avoidance of essentializations ensures that the dense sense of place never becomes cloying. It serves, instead, to provide a sense of location that accentuates the narrative instead of bogging it down. By the time Tarik Kundra is found, and the story begins to kick off, Trevelyan has done such a thorough job of world-description, that it can now simply be allowed to recede into the imperceptible background, and let the arc of the narrative take over. It is at this point, though, that I began to find parts of the novel difficult-going. I think this is because Trevelyan might have tried to do a little too much. Even as the travelers discover the hidden secrets of Tarik Kundra's secluded abode, Steven Strauss's relationship with his wife is coming under strain. 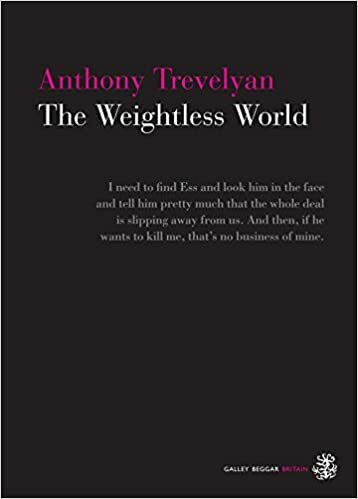 These two elements of the novel—speculative fiction and an intense personal drama—at times sit in an unhappy relationship with each other, and in trying to do justice to both, Trevelyan comes perilously close to doing justice to neither. One gets the feeling that Strauss's response ("that's not what I think India is . . . that's what you think India is" [p. 213]) is not meant to convince even himself. Hanging in the background, never mentioned explicitly by anyone, but finally unavoidable, is that dreaded word: colonialism. In the late nineteenth century, Disraeli said that "The East is a career"; the quotation is the epigraph to Edward Said's Orientalism. Ostensibly on a quest to obtain an anti-gravity machine that will change the world, are the protagonists—average men, neither heroes nor villains—little better than twenty-first-century reincarnations of the adventurers who made the same trip two hundred years ago? This question hangs heavy, although neither Trevelyan nor any of his characters attempts to answer it. It might perhaps be inaccurate to label The Weightless World as a work of speculative fiction. True, the core theme—the quest for the anti-gravity machine—foregrounds the novel, and motivates its protagonists' actions from beginning to end. But it is rarely, if ever, the centrepiece of things, and never acquires the overwhelming importance of a traditional fantasy quest. It is, instead, a platform from which Trevelyan gives us a delightful sensory perception of a sliver of India, allows himself to explore the intricacies of personal relationships, and skirts around the edges of a couple of complex political questions. That is a lot happening within the confines of a single novel, and at times it doesn't quite work. But, surely, it is better for vaulting ambition to overreach itself, than to sell itself short. The Weightless World is a promising, if flawed, debut.